In November of 2018 I was selected as a Finalist for the 701 Center for Contemporary Art Prize. This prize selects 3 finalist for an exhibition at 701 Center for Contemporary Art in Columbia, South Carolina. The exhibition of the 3 finalist them moves to Lake City, South Carolina at the beginning of 2019. The other finalist this year are Carey Morton, and Jena Thomas. The exhibition looks fantastic at 701 CCA and I am excited for the installation in Lake City. This was the first time that I have hung, No Need To Look Up from the ceiling and I cannot be more pleased with how this changes the work. 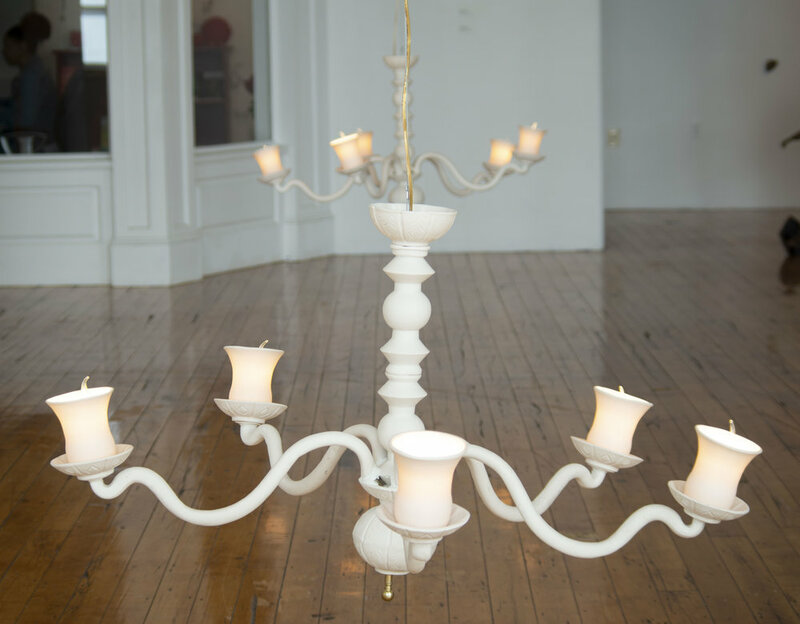 These are also the second version of this piece with the chandelier wired in the same fashion as a light fixture. Previously, the chandelier was wired so that the entire chandelier would light up or twinkle. I may go back to making the whole piece glow in the future but for now, this newer version looks wonderful. Overall this was a wonderful experience and a huge congratulations goes out to Jena Thomas for being selected as the winner. The winner receives a 6 week paid residency, solo exhibition, and an advertisement in a national publication.